We are a wholesale manufacturer with a reputation for quality. 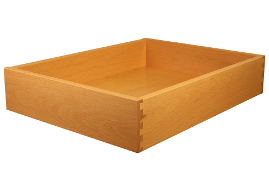 We offer a wide array of dovetail drawer box solutions. From standard square, sink, corner, file, divider, roll out drawers. 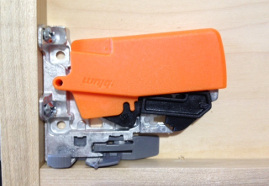 Let us to save you time and money by installing your under mount locking devices, or providing you with Blum soft close slides, or choose from one of our easy to install trash roll out options. 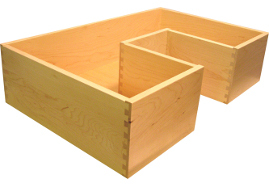 Our inserts—with choices of different wood types—give you the largest array of organizer designs anywhere. 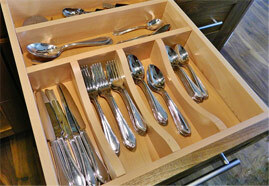 Custom-sized to fit your drawers, they will enhance all of your cabinet interiors. Whether you need to organize in the kitchen, bath, or closet. Already have an account with us? Simply log in, and start your new quote. Don’t have an account? Register your company, and we’ll get your account set up. We offer a full service online ordering system for all of our drawers and accessories. 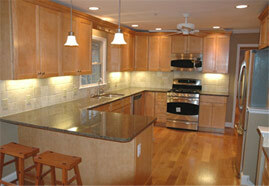 If you would like a quote for cabinet doors, please fill out our door order form and email or fax it to. We believe in providing the best solutions (Saving you time and money is our business). An outsourcing partner can be one of the most beneficial relationships in business. Allow us to be your full service door and drawer box partner. Our service and products allow you to spend your valuable time on more important aspects of your business. We continually strive to exceed your expectations in both customer service and quality products. Take a minute to explore our selection for drawers, organizers, doors and accessories. We have a wide array of options for you to customize to the needs of your cabinet or furniture projects. For Wholesale (In-Trade) customers only. Set up an account for your company and have quick access to pricing and quote/order management.